China will expand and improve the existing policies on retail imports via cross-border e-commerce to widen opening-up and unlock the potential of consumption, the State Council's executive meeting chaired by Premier Li Keqiang decided on Wednesday. The Chinese government places high importance on developing cross-border e-commerce and other new forms of trade. Premier Li underlined the need to promote new forms of industry including cross-border e-commerce and adopt a new approach of prudent, accommodative and effective regulation in the government work reports in four consecutive years. "Boosting cross-border e-commerce will contribute to high-level opening-up. It will promote steady growth of foreign trade, drive consumption and create jobs," Li said. "We need to take a holistic approach, exercise prudent yet accommodative regulation to fully unleash the growth potential of cross-border e-commerce." The Wednesday meeting decided that starting from next January, the current policies on cross-border e-commerce retail imports will continue. No requirements of licensing, registration or record-filing for first-time imports shall apply to the retail imports through cross-border e-commerce platforms. Instead, these goods will receive more relaxed regulation as imports for personal use. 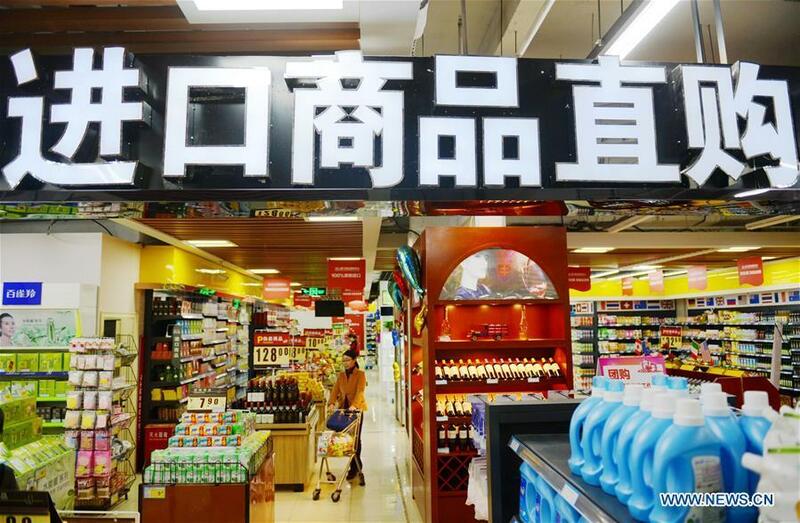 Moreover, implementation of this policy will be extended from the 15 cities such as Hangzhou to another 22 cities such as Beijing which have just established comprehensive cross-border e-commerce pilot zones. Goods included in the cross-border e-commerce retail imports list have so far enjoyed zero tariffs within a set quota and had their import VAT and consumer tax collected at 70 percent of the statutory taxable amount. Such preferential policies will be extended to another 63 tax categories of high-demand goods. The quota of goods eligible for these preferential policies will be raised from 2,000 yuan to 5,000 yuan per transaction and from 20,000 yuan to 26,000 yuan per head per year. This quota will be further adjusted as needed in light of increases in people's income. "For a large importing and exporting nation as China, it is imperative to further open up, pursue greater diversity in the import and export mix, and vigorously attract foreign investment to promote balanced international payments and steady economic development," Li said. Cross-border e-commerce businesses, online platforms and payment and logistics service providers must fully discharge their responsibilities required by law, the meeting urged. Product quality and safety inspection and risk prevention and control should be strengthened for fair competition in the marketplace and better protection of the consumer rights and interests.